Joy Boykin, Real Estate Consultant/Broker | My JOY comes from serving YOU! Great Home with Private Back Yard, backs up to farm , Great View. Almost an acre, Larg Parking Area along w/2 Car Garage, Roof & Hot Water Heater less then 3 Yrs Old, Large Covered Patio, . Master Suite Down. Seller will pay $3000 of buyers closing . Custom Built All Brick Home, 5+ Level Acres, Creek, Pool, 3 Car Garage, 1 Level, Large Bonus Rm, Hardwood, Tile, Granite Counter Top, Stainless Steel Appliances, Home Office w/Separate Entrance. This home has it ALL! Great location, only 3 miles to I-24. Custom Built 5 Bedroom, 3 Bath, 3508 SF Home located on 3.58 Acres. Many Features Includes: Brick and Fiber Cement Exterior, Mahogany Front Entrance Door, Solid Maple KraftMaid Cabinets, Top of the line Stainless Steel Appliances which includes a Decor Gas Cook Top, Double Pantries, Vessel Sinks in Baths, Large Bonus Room with 55″ Flat Screen, In-Wall Wiring for Surround Sound and Remote Control Lighting, Remote Gas Log Fireplace in Living Room, 2 Car Attached and 2 Car Detached Garage / Workshop. Call or Email for a full list of Amenities. Well kept ONE OWNER, All Brick Home located on 6 Picturesque Acres, Fully Fenced Yard with a Stocked Pond . Only minutes to I-24. This home offers 5 Bedrooms, 2 Full Baths and another Full Bath with Handicap Accessibility, Breakfast Room and Separate Large Dining Room. Large 2 Car Garage and a Covered Patio with a Maintenance Free Handicap Ramp all in a beautiful Country setting. Sold AS-IS to settle estate. 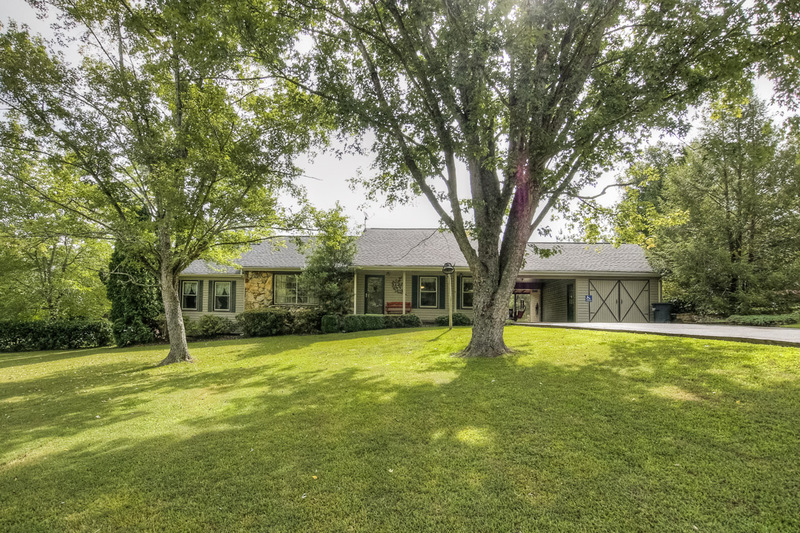 Welcome to 6040 Marrowbone Lake Rd in Joelton, TN. 8.97 Acres Level to Rolling. Several Beautiful Building Sites. Septic & City Water, Assortment of Trees, a Garden Area. 1972 Singlewide Mobile Home, no value placed on mobile home due to age & condition. Price for Land Only. Newly Remodeled Country Cottage on 3 Level Acres. New Cabinets & Counter Top, New Flooring, New Carpet, New Windows, Freshly Painted & all New Wiring. Detached Garage w/Workshop. This home is completely Renovated & Ready to move in. You will love this Custom Build, All Brick, 1 Story with Full Basement . This home offers 2.03 Acres, Open Floor Plan, Lovely Hardwood Floor and Large Bonus Room. Plus there is a Large Room in the Basement with rough-in for Full Bath, great for In-Law Quarters, Man Cave or Game Room. This is a rare find for this area. It is on a Park Like Setting, only mins to Paradise Ridge Park. Email for full details or to schedule a showing. Don’t miss out on this Great Country Setting with an Updated Ranch Home that has a 406 Sq Ft Hair Salon Home Business with Approved Zoning that is Separate from the Main Home. There is also a 2 Car Garage with a 960 Sq Ft Loft Apartment that offers a Living Area, Kitchen and Full Bath that would be great for entertaining family and friends or In-Law Quarters. There is a New Roof & Insulation and a New Kitchen including New Granite Counter Tops. Email or call for any questions, concerns or if you would like to schedule a time to view this home. Don’t miss your chance to own this 50’s Brick Ranch with 2.93 Acres located in growing commercial area. Backs up to Gower Elem School. Home has new Roof & Gutters, Hardwoods under carpet & 2 Full Baths. Great place for Daycare or Attorney’s Office. This is for 2 lots, 7237 & 7243 Bidwell Rd. Zoned Rs40, 300 ft Road Frontage, Total of Level 5.44 Acres. A tobacco barn is on the 7237 property, needs work, but could be stored. You could build 1 really nice home or up to 4 homes on these properties. This property is Zoned Rs40 with 150 ft of Road Frontage. 2 Separate lots for sale. This lot has 2.72 Acres. You could build 1 really nice large home or up to 2 homes on this property. The other lot is 7237 Bidwell Rd, MLS# 1511686. This property is Zoned Rs40 with 150 ft of Road Frontage. 2 Separate Lots for Sale. This lot has 2.68 Acres. This lot includes a large Tobacco Barn on the back of the property, needs some work but could be restored. The other lot is 7243 Bidwell Rd. Newly Remodeled Unit with Updated Paint. Great Floor Plan with Hardwood Floors, Fireplace with Gas Logs & Vaulted Ceilings in Living Room. Galley Kitchen with all Appliances remaining including a Washer & Dryer. Separate Dining Room with Breakfast Bar. The Master Bedroom is located on Main Level with New Carpet, Fresh Paint. Walk-In Closet & a Full Bath that offers Shower/Tub Combo, Double Vanities & Tile Floor. Located on the 2nd Level is a Bedroom with a Walk-In Closet, 2nd Full Bath & the Open Loft that overlooks the Living Room. Please don’t forget to check out the Virtual Tour.